The event Sardinia at Twilight, held at Howard Assembly Room at Opera North, on Friday 1 May, consisted of a live concert by Elena Piras, introduced by a talk, with Elena Piras in conversation with world music journalist and writer Andy Morgan and Gigliola Sulis (University of Leeds). Versatile singer/guitarist Elena Piras contrasted her native music with that of Bulgaria and Scotland. Linked to ongoing research and teaching on 20th-century Sardinian culture, and part of the spring season of the Howard Assembly Room devoted to exploring the Mediterranean roots of our culture, this Sardinian soiree showed Sardinia as a crossroad of cultures in the middle of the Mediterranean. The concert was followed by the film screening of Red Desert, introduced by Alan O'Leary (University of Leeds). Red Desert is Antonioni's masterpiece, shot in Sardinia in 1964 and starring Monica Vitti with Richard Harris. at 4.15-5pm: pre-concert talk with singer Elena Piras, world-music writer and journalist Andy Morgan, and Gigliola Sulis (University of Leeds). 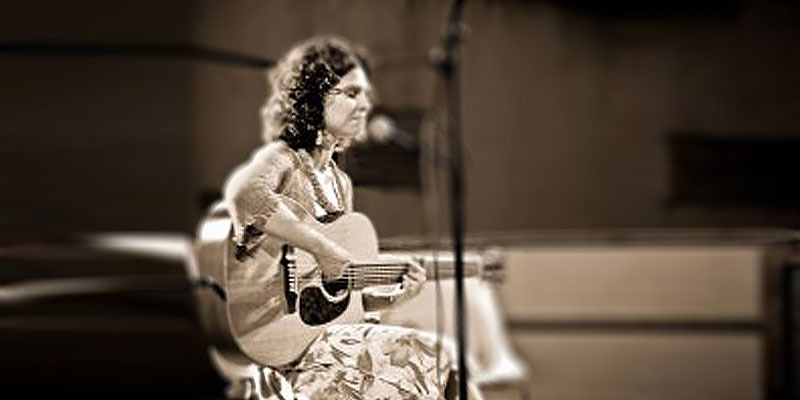 at 5.45-6.45pm: folk concert by singer/guitarist Elena Piras, with music from Sardinia, Bulgaria and Scotland. at 7.30pm: film screening of Red Desert, introduced by Alan O'Leary (University of Leeds).